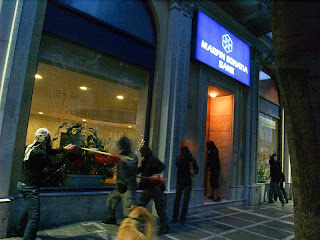 A FURIOUS reaction to the Greek government's sell-out to the IMF has already started on the streets of Athens and elsewhere. A spontaneous protest against the announcement ended with riot police firing tear gas at a crowd trying to storm the finance ministry, reports Reuters. And the heat is set to be turned up still higher on Saturday when the traditional Mayday marches take on a new poignancy. And all this to pay for the mess created by parasitical bankers and corrupt politicians - no wonder they're angry! GREEK embassies have come under attack in international solidarity actions supporting a jailed anarchist. Reports the Latin American Herald Tribune: "Four people were injured and five others arrested in a clash between police and a group of protesters who threw stones and fire bombs at the Greek Embassy in Buenos Aires, Argentine police said. 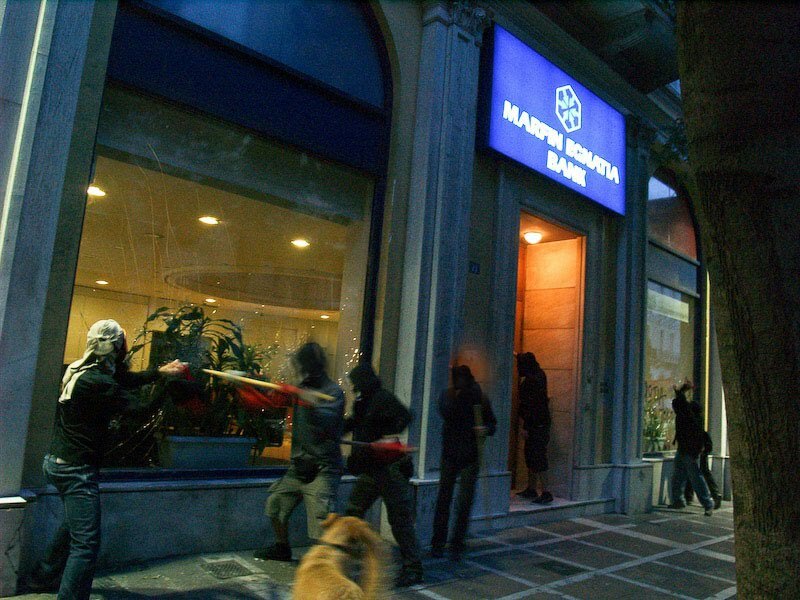 "The protesters are members of an anarchist group that is demanding the release of Giannis Dimitrakis, a Greek anarchist sentenced to 35 years in prison for a 2006 attack on a bank in Athens. "Three police officers and one of the detained protesters were hospitalized for treatment of wounds sustained in the disturbance. 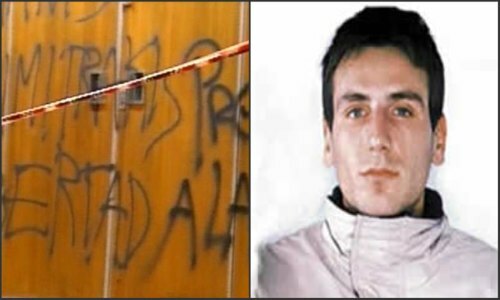 "The clash started when demonstrators tried to set fire Tuesday to the door of the embassy, which is located in the La Recoleta district." Meanwhile, Earth Times reports an attack on the Greek embassy in Prague, Czech Republic. It says: "Unknown perpetrators hurled a flammable substance in the garden of the Greek embassy in Prague early Thursday, likely to protest the jailing of an anarchist in Greece, officials and an embassy source said. "The resulting fire consumed a bush and damaged the embassy's entrance door, said Pavlina Adamcova, a spokeswoman for the city's firefighters. "Police said the embassy was empty during the attack, which took place shortly after midnight and caused damage amounting to 20,000 koruny (1,036 dollars)." It adds that the protesters sprayed the anarchist A and the name Giannis on the building's wall. 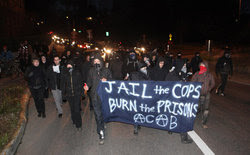 BLACK-CLAD anarchists have attacked hated symbols of capitalist-military system in the north-west USA. Reports KPTV: "A Starbucks coffee shop and a U.S. military recruiting center were among the businesses damaged Monday when a group of about 50 people ran through the streets of northeast Portland. "A Portland police spokeswoman said anarchists who protested and vandalized businesses in downtown Portland several weeks ago are likely responsible for the damage found along Northeast Broadway Boulevard at 9:45 p.m.
"The Portland Police Bureau is now preparing for similar acts of vandalism and protests in the days leading up to May 1, which is a holiday historically celebrated by labor unions, anarchists and socialist groups. "Witnesses told officers Monday that the large group was dressed in black and was throwing rocks before police arrived. "Two windows on the Starbucks coffee shop at 1510 NE Broadway were damaged by rocks, police said, and the U.S. Military Recruiting Center two blocks away had its front glass door shattered. 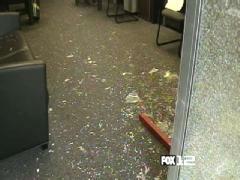 "A police spokeswoman said the vandals entered the recruiting center and spread garbage around the office. "They also destroyed a large bench and rolled several trash bins into the street in hopes of stopping traffic, police said. "The windows of a Wells Fargo bank branch and a Bank of America branch were also shattered." "We want to make sure we protect business and property," said an unusually truthful police spokesman interviewed on local news channel 8. POLICE in London killed an anti-fascist protester, lied about what had happened and completely got away with it. 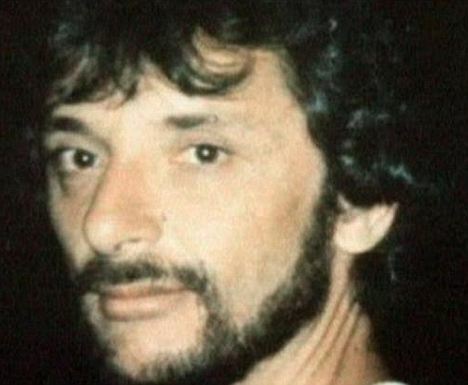 That was the finding of a secret report into the death of Blair Peach (above) in 1979, finally made public this week. Reports the NZ Herald: "The report, written by Commander John Cass in 1979, identified the likely killer by his pseudonym Officer E, but concluded that there was not enough evidence to mount a prosecution against him. "Commander Cass said that that was due to his investigation being frustrated by his colleagues' refusal to co-operate. "And, while unable to recommend a murder or manslaughter charge, Commander Cass suggested that the officers who lied in an attempt to obstruct the case should be charged with perverting the course of justice. But the then Director of Public Prosecutions, Sir Thomas Hetherington, said at the time there was insufficient evidence to bring any charges. "The timing of the report is particularly poignant because it comes as the Metropolitan Police wait to discover whether any of its officers will face criminal charges over the death of Ian Tomlinson, who died after being pushed to the ground by a police officer during last year's G20 protests." In a chilling footnote, The Guardian added that Cass "noted that Archbold, the criminal law bible, states in paragraph 2528 of its 38th edition that "in case of riot or rebellious assembly the officers endeavouring to disperse the riot are justified in killing them at common law if they cannot otherwise be suppressed." There we have it in black and white - in case there was ever any doubt. REVOLUTIONARIES in Nepal are upping the pressure on the government. Sify news reports that almost 8,000 schools were forced to close by the All Nepal National Independent Students' Union (Revolutionary) in protest at fee hikes of up to 25 percent. It adds: "The Maoist students went on the warpath, padlocking the accounts offices of private schools and on Friday, vandalising nearly a dozen school buses, demanding that the fees be rolled back. "The student organisation has said it will not allow the schools to re-open till they revert to the old fee structures. " 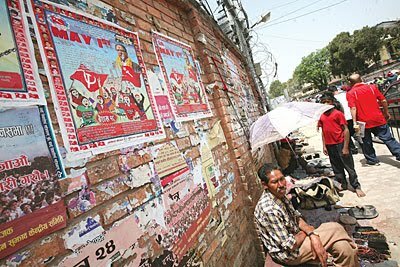 The strike comes in the run-up to a massive workers' protest announced by the Maoists in the capital on May 1. THE PEOPLE of Greece are taking to the streets in anger at the IMF take-over of their country. The Occupied London blog reported that Greek PM Papandreou chose the remote Aegean island of Kastelorizo to announce his government was to activate the IMF-EU plan, "effectively throwing the proletariat and lower middle classes in the country at the mercy of international financial giants". A massive protest in Athens saw police fire tear gas at those denouncing the betrayal of the so-called "socialist" government. There is a video on the ITN website. Occupied London also reports that a few days ago, the headquarters of the ruling PASOK party in Chania, Crete were occupied in solidarity with the six anarchists arrested in relation to the revolutionary struggle case. A statement condemend the criminalization of the anarchist/ anti authoritarian movement and the " state’s attempt to hold back any feelings of rebellion that develop among broader parts of society". It added: "This performance presenting the assuming ‘unmasking of terrorism’ serves for the state and the capital as an ideal platform on which they both materialize their sophisticated attack against society, an attack that is becoming all the more barbaric as it is realized with the contribution of their ‘international’ partners and the monetary fund. And all that so as to shut people’s mouths, so as to achieve their consent in their even harsher exploitation." THE USA ignored corruption and human rights abuses in Kyrgyzstan so it could hold on to its military base there. This was the picture to emerge from a US Congress hearing this week, amidst speculation that the new Kyrgyz regime would be forced by public pressure to kick out the Americans. On April 7, the capital of Bishkek erupted in massive riots, eventually forcing President Kurmanbek Bakiyev, who took over power during the so-called Tulip Revolution in 2005, to flee the country. Reports RT: "A panel of experts told the House Committee on Oversight and Government Reform that the United States ignored corruption and human rights abuses in Kyrgyzstan in order to keep its basing privileges in Manas, a logistical hub for supplying troops and weapons in Afghanistan. "Baktybek Abdrisaev, a former Kyrgyz ambassador to the United States, told the Congressional panel that Washington must prove that Kyrgyzstan means more to it than simply being ''the Manas Transit Center'. "Abdrisaev suggested that the status of the Manas air base will become a major issue in the Kyrgyz presidential election, which is scheduled for October. He added that a number of candidates 'will campaign on an anti-base platform'." RT also quotes another speaker at the Congressional hearing - Alexander Cooley, associate professor at Barnard Collage and Open Society Institute Global Fellow - who said the popular perception amongst the Kyrgyz people was that the US supported the authoritarian rule of the deposed Bakiyev. “Despite the intentions of US base commanders or the US Embassy in Bishkek, the perception among the Kyrgyz public and the political opposition was that the United States supported the authoritarian and corrupt rule of Bakiyev in order to maintain access to Manas,” Cooley said. ANGRY Bosnian war veterans have risen up against IMF-imposed austerity measures in Sarajevo. 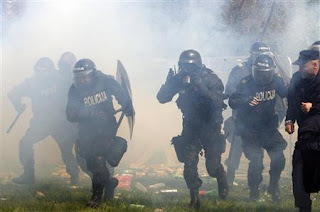 Report Reuters: "Thousands of veterans of Bosnia's 1992-95 war clashed with police on Wednesday in a protest over benefit cuts in the most violent incident for years in the troubled Balkan country. "Former soldiers and their families converged from across Bosnia's Muslim-Croat federation to vent anger at a government decision to toughen criteria for their benefits as an austerity measure under an International Monetary Fund stand-by deal. 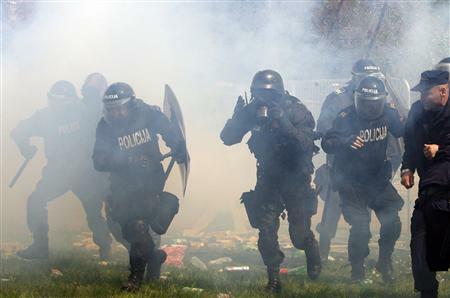 "Doctors from Sarajevo's Clinical Centre said around 60 people were injured, one seriously with a fractured skull, in disturbances that lasted several hours. Officials said 15 police were among the injured. One man was seen bleeding from the head. "The windows of buildings lining the street were smashed after police fired stun grenades. "Efforts to defuse the situation failed later with most protesters rejecting a proposed deal with the government and demanding the resignation of Prime Minister Mustafa Mujezinovic. "Some protesters too young to have served in the 1992-95 war later set the government's ground floor offices on fire without police present." Reuters added in a separate report: "In July 2009, Bosnia signed a 1.2-billion-euro stand-by deal with the IMF and pledged major spending cuts to achieve a budget deficit of 4.5 percent of GDP, down from nearly 8 percent. " 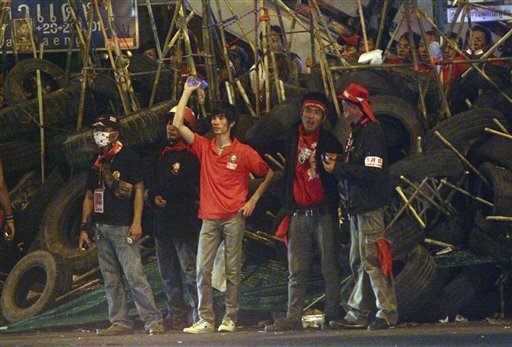 A CRUNCH day is approaching in the 'red shirt' rebellion against the Thai government. Reports the Washington Post: "Thailand's tense political standoff was nearing a climax on Thursday with anti-government protesters preparing for imminent battle in central Bangkok against tens of thousands of armed troops. "The 'red shirt' uprising showed the first signs of spreading beyond Bangkok to the protesters' stronghold in the northeast after they blocked a train carrying troops. "The red shirts mistakenly thought the train was on its way to Bangkok, but it was taking troops and military vehicles to the south to help contain a Muslim insurgency, a railway police officer told Reuters by telephone from Khon Kaen. "Some 40,000 red-shirted supporters of former prime minister Thaksin Shinawatra have fortified their redoubt in a Bangkok commercial district with home-made barricades, expecting the army to evict them any time. 'We've heard from insiders in the government that April 26 is their deadline,' Kwanchai Sarakam, 57, a red shirt leader from the northeast told Reuters." RESISTANCE fighters in the Philippines have carried out a spectacular ambush of state forces. Inquirer.net reported: "Four members of an elite police unit died and seven others were injured when they were ambushed by suspected Communist rebels in Antipolo City, Rizal province early Tuesday morning, the provincial police chief said. "Senior Superintendent Jonathan Miano said that a nine-member team of the elite Special Action Force unit of the Philippine National Police together with two civilians and 34 members of the Special Action Company were ambushed at Sitio (sub-village) Caysacat, Barangay (village) San Jose 6 a.m. Tuesday. "Initial investigation revealed that the government forces were on board a SAF Defender vehicle, heading towards Bicutan in Taguig City when they were waylaid by the suspects. 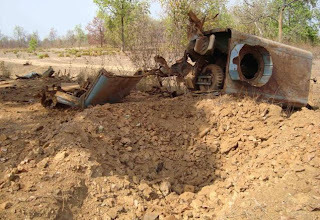 "Government troops were reportedly attacked using land mines and grenades, Miano said. Added Earth Times: "Communist rebels have been fighting the government since the late 1960s, making the movement one of the longest-running leftist insurgencies in Asia." 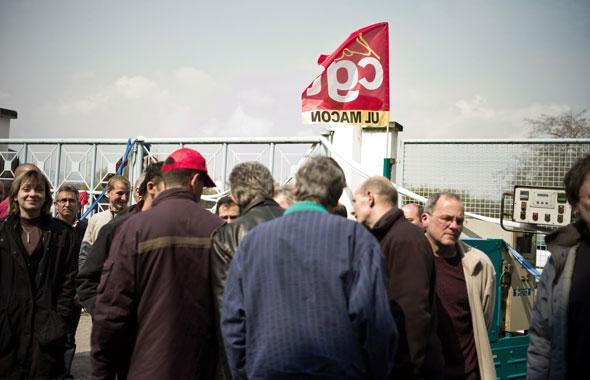 WORKERS at a French factory have held two company bosses hostage for two days in protest at its forthcoming closure. 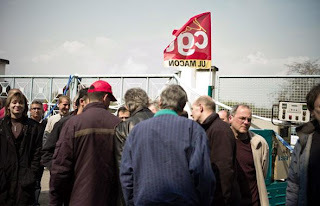 The 86 rebels at the Essex copper wire plant in Mâcon, in Saône-et-Loire, have also threatened to throw its products and equipment into the river Saône. They are demanding a pay-off of 120,000 Euros for each member of staff, reports Europe1. Christian Estrosi, industry minister, is said to be "deeply shocked" by the latest in a string of militant actions against the capitalist system in France. 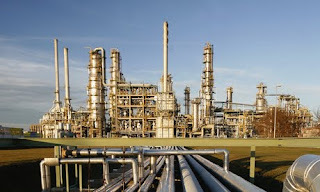 THE US military has warned that surplus oil production capacity could disappear within two years and there could be serious shortages by 2015 with a significant economic and political impact, The Guardian has reported. 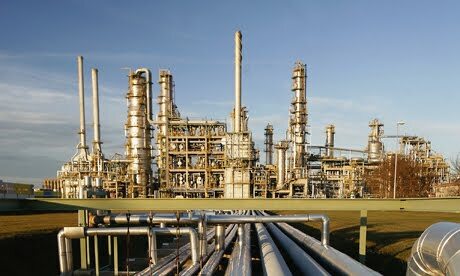 The Guardian fails to record whether the US military noted any connection between the oil crisis and the US invasion of Iraq in 2003. 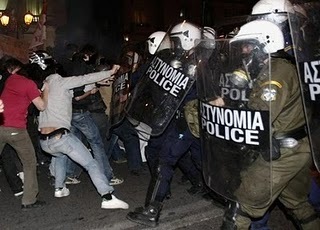 Greek-style unrest for the UK? BRITAIN will be hit by waves of "Greek-style unrest" if a Tory or Labour government narrowly wins the election and then tries to push through draconian spending cuts, Nick Clegg has warned. In an interview with the Observer, the Liberal Democrat leader says he fears "serious social strife" would break out on the streets if a government with limited support at the election on 6 May then raised taxes, laid off public-sector workers and froze wages. "Imagine the Conservatives go home and get an absolute majority, on 25% of the eligible votes," Clegg said. "They then turn around in the next week or two and say we're going to chuck up VAT to 20%, we're going to start cutting teachers, cutting police and the wage bill in the public sector. I think if you're not careful in that situation… you'd get Greek-style unrest. And so my warning to people who think the old politics still works, is be careful for what you wish for." In his own constituency city of Sheffield, where there are no Conservative MPs or councillors, and a high proportion of public-sector workers, he fears a ferocious backlash against potential Tory cuts. "Suddenly these people will be told by a government that has no legitimacy [in the area] in their eyes that this government is going to slash and burn, having promised them something else." 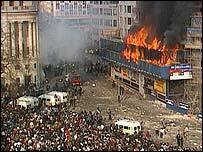 Clegg's fears may have been prompted by the 20th anniversary celebrations of the 1990 Poll Tax riots across the UK (see photo), which spelled the end for his heroine Margaret Thatcher. Recalled anarchist group Class War earlier this year: "A vast number of confrontations between the people, and the police and government took place all around the UK, building momentum towards the large demonstration planned. "Class War came to prominence because of the riot in Trafalgar Square. The 1990 uprisings against the Poll Tax seared like wildfire outside every council chamber and Shire Hall culminating in that glorious carnival of insurrection at Trafalgar Square when 10000 riotous working class heroes were cheered on by another 300000 as they torched buildings, fought cops with scaffolding poles and brought the reality of class war to the cosseted rich of the City and West End. "This was no drunken mob, this was MASS CLASS WAR. As the filth forced Trafalgar Square clear, the mobs went in different directions. East to the plush arcades of Covent Garden, North to the expensive shopping areas of Regent Street, West to Leicester Square. All with the same motive, to show the rich scum exactly what we think of them and what they can expect more of in the future." A WAVE of protests against police brutality have kicked off in the North West of the United States of America. Reported the Associated Press: "Police arrested 29 people after an anti-police march in Olympia Thursday night turned violent. "Cmdr. Tor Bjornstad said Friday that officers were monitoring about three-dozen people dressed in black, wearing masks and calling themselves anarchists. The group started marching downtown about 7 p.m. Thursday, chanting obscenities at the police. "By 9 p.m., they had spray-painted the camera of a photographer for The Olympian and tried to take the camera and his cell phone, Bjornstad said. They also spray-painted buildings, broke windows and threw newspaper boxes into the street. "Officers surrounded the group and made the arrests. "Two officers were hit — one in the head and one in the groin — and those two attackers were booked for investigation of felony assault, Bjornstad said." 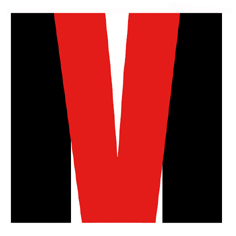 "Two people who attacked the photographer were booked for investigation of assault. "The rest were booked for investigation of riotous conduct and released overnight with charges referred to the prosecutor. "Bjornstad said there was no identifiable group responsible for the demonstration, but most of the marchers are college age. He said it may be related to similar protests in Portland, where hundreds have marched through downtown streets in recent weeks to decry two fatal shootings by officers." And then, the next day, there were further anti-police protests and five more arrests in Seattle. The Seattle Times reported: "Seattle Police spokeswoman Renee Witt said the five were arrested during a march in the Capitol Hill neighborhood Friday afternoon for investigation of crimes ranging from trespassing to inciting a riot." ANGRY revolutionary crowds in two Asian states have demonstrated how people power can prevail against riot cops - even armed ones. Kyrgyzstan's Prime Minister Daniyar Usenov resigned with his entire cabinet late Wednesday night and has fled to neighbouring Kazakhstan as anti-government protesters seized the Parliament and clashed with security forces in which at least 40 people were killed and over 400 injured, reports Rediff News. Usenov signed his cabinet's resignation and handed over the powers to the leader of parliamentary opposition, ex-Foreign Minister Roza Otunbayeva, Interfax news agency reported from capital Bishkek. Later in a statement Otunbayeva declared that the power in this of Central Asian republic has been assumed by the government of popular trust, RIA Novosti reported. Since Tuesday's protests against President Bakiyev, the Opposition has captured administration in Talas, Chui, Naryn and Issyk-Kul regions in the north and west and are said to be in control of several districts in Osh region in the south loyal to Bakiyev. President Kurmanbek Bakiyev has fled the country by air, while Prime Minister Usenov left by road for Almaty in neighbouring Kazakhstan with his security in several off-road vehicles, Moscow-based Kommersant FM radio has confirmed. Bakiyev left the country in a special aircraft which took-off from Manas International Airport around 8 pm (IST) for an undisclosed destination. Russian agencies have reported that Bakiyev's family home has been ransacked and looted in the absence of any security guards. The riots erupted as the agitators alleged corruption in the administration and protested against the rise in power prices recently. The Interior Minister Moldomusa Kongatiyev was beaten to death by the opposition protesters in the western town of Talas. 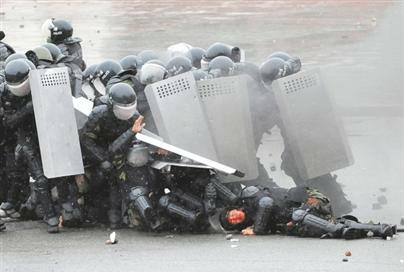 Prime Minister Daniyar Usenov declared a state of emergency in an effort to contain the riots. However shortly after emergency was declared, agitators marched towards the Kyrgyz television centre, ransacked the building and forced to halt all programmes. They also looted the radio building and took the deputy prime minister Akylbek Zhaparov hostage. Protesters raised slogans like "Bakiyev out!" and "We don't want this rotten power." 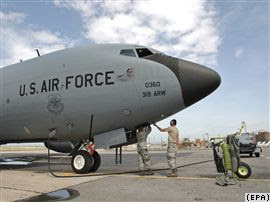 The US, which has an air base in Kyrgyzstan to aid NATO forces in neighbouring Afghanistan, also expressed "deep concern" about the situation in this former Soviet nation. Meanwhile in Thailand the 'red shirts' seized a satellite TV station from police. Reports The Daily Telegraph: "Thai security forces fired tear gas and water cannon at anti-government protesters yesterday as thousands invaded a satellite station demanding that the opposition television station be put back on air. "The spasm of violence at the compound 35 miles north of Bangkok was the most serious confrontation in nearly a month of demonstrations designed to force the government of Abhisit Vejjajiva to quit and call fresh elections. 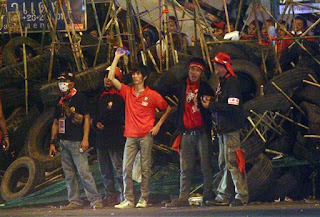 "Thousands of 'red shirt' demonstrators loyal to Thaksin Shinawatra, the ex-prime minister surrounded the Thaicom compound, which was eventually abandoned by the police. "Protestors had scaled a moat guarded with razor wire to force open the front gates, a move that prompted the security forces to abandon their weapons, shields, and body armour which could be seen floating on the water. "Last night the management of the company, Thaicom, agreed to put the 'red shirt' protesters' fiery People TV - or PTV - back on air after negotiating with their leaders despite a government ruling that it remain blocked. "The government pulled the plug on PTV under the state of emergency decree saying that the channel that broadcasts rallies and propaganda speeches was putting out false information. "The government has deployed 30,000 personnel across the capital Bangkok which has been the focus of the demonstrations where thousands of 'red shirts' have blocked roads and shut glitzy shopping malls since the weekend." NAXALITE rebels in India have struck a stunning blow against the armed government forces sent to crush them. Reports Al Jazeera: "Authorities say hundreds of fighters ambushed a bus carrying Indian police officers, killing at least 70 paramilitary personnel in the central Indian state of Chhattisgarh. "In October, Al Jazeera interviewed 'Kishan-ji', commander of the group's armed wing, who said such attacks were 'directly related to the power of the state'. 'Eighty-five to 90 per cent of India's population lives under a dictatorship, it is not really a democracy,' he said. Referring to the Chhattisgarh raid, Rubina Khan Shapoo, a senior correspondent for the private NDTV television station, said: "This is the deadliest attack so far and the biggest setback for Indian security forces'." A superb first-hand account of the strengthening Naxalite uprising in India by author Arundhati Roy was recently published by The Guardian.